Webinar looks at upcoming changes to MSA: what do they mean for cattle producers? 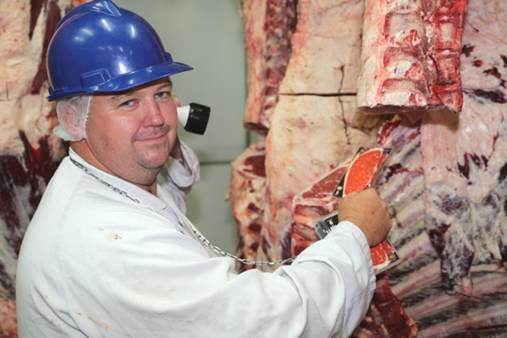 A SERIES of changes being implemented from June across the Meat Standards Australian program will be the subject of an upcoming webinar. Hosted by FutureBeef and Beef Central on Tuesday 30 April from 12:30pm (AEST), the one-hour webinar will examine several changes to the MSA model, the MSA Vendor Declaration Form and the myMSA portal. The changes were discussed in detail in this earlier Beef Central article. Hump height will be used as a direct predictor of eating quality. While hump height has always been measured as part of MSA, it will now be used as a direct predictor of eating quality rather than an estimate of tropical breed content. A revised MSA Vendor Declaration form. The form will simplify how producers record tropical breed content and it will provide an option for owners who use agistment or custom feeding to receive direct carcase feedback through the myMSA feedback portal. MSA-registered producers will not need to instantly transition to the new MSA Declaration Form when it becomes available. Earlier versions of the MSA Declaration will be accepted until producers run out of their current versions. New myMSA features and look. Producers will have access to an Opportunity Index on cattle that did not meet minimum MSA grading requirements, giving producers an indication of the potential value of those carcases if they addressed the reasons for non-compliance. Users will also notice a refreshed, more user-friendly myMSA online portal. MSA producer engagement officer Laura Garland will be guest presenter for the one-hour webinar, stepping through the changes and what they mean for MSA-registered cattle producers. Click the link at bottom of this page to register to join the webinar. The changes will affect supply chain participants differently and MSA will be in contact with all MSA stakeholders in coming months, including cattle producers, processors, independent boning rooms and retailers. MSA program manager Sarah Strachan said the beef model updates incorporated findings from five years of research. “The research was reviewed by the independent scientists on our MSA R&D Pathways Committee, who then recommended ways the results could be incorporated in an MSA beef model update,” she said. MSA beef taskforce member and Cattle Council of Australia director David Hill said the changes would ensure the model maintains a high level of accuracy, based on the latest scientific evidence. “The upgrades will give everyone in the supply chain – especially the customer – confidence that the model continues to deliver what is, without doubt, the best beef eating-quality grading program in the world,” he said. In other changes to the model more relevant beyond the farm-gate, the number of ‘cut by cook’ combinations will increase from 169 to 275, which will deliver new secondary cut options to the food service industry and provide increasingly popular cooking methods such as sous vide, Texas barbecue and combi-oven roasting. Click here to register to join the webinar. After registering, you will receive a confirmation email containing information about joining the webinar on the day. I Look forward to Hearing more on MSA’s changes. I would love to join this webinar, but there is no link to click on. Sorry Chris – the original link we added was playing up for some reason. We have since added it to the original story (also published below) and will remind readers closer to the event.